Inspired by his incredible home neighbourhood of Westmount, Ryan and his wife Kate have created original scent combinations representing many of the unique and diverse communities in Edmonton. 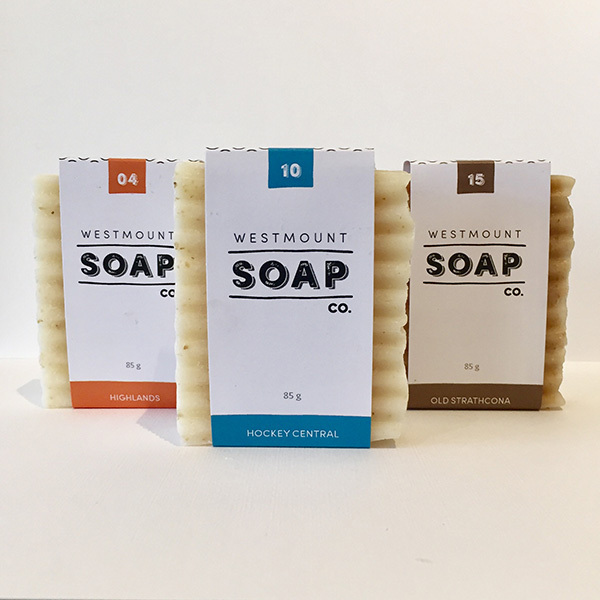 Using a Westmount Soap Co. bar means you are contributing to the future of a small, local family business. It means you are using an all-natural and safe product. And it means you are investing in the entrepreneurial spirit of Edmonton. Pick your favourite neighbourhood and wash up!